Guess the dolls' house in this Christmas advert! Primark has launched its Christmas campaign with one of the fabulous collectors' range at The Dolls House Emporium. The innovative and imaginative film uses each room to highlight a different department, using models shot among custom-made, over-sized props. The campaign features models wearing everything from Christmas jumpers to party wear and onesies. But what IS that house? Click through here for the answer! Don't forget, all of our collectors' houses are available with FREE delivery, if you fancy treating yourself for Christmas! 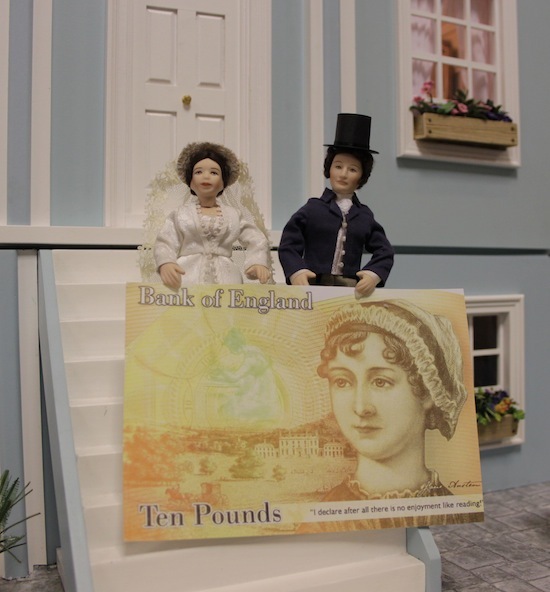 Pride and Prejudice dolls celebrate the Jane Austen £10 note! We're celebrating the great news about Jane Austen being chosen as the face of the new £10 note by releasing our Pride and Prejudice collection dolls early! 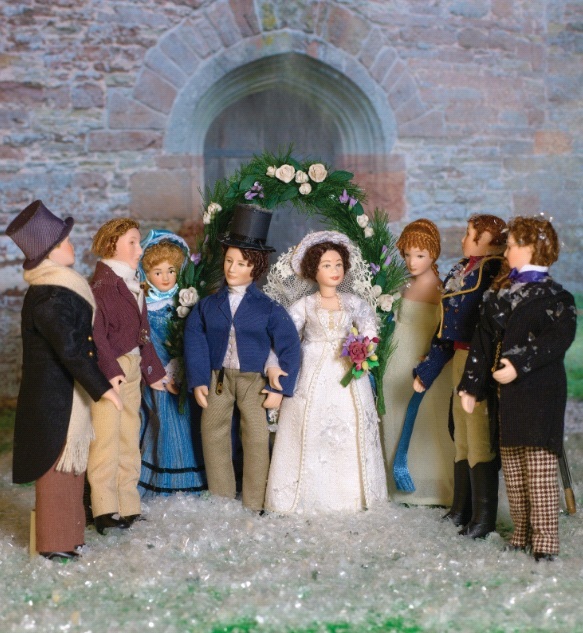 You can own the exquisite porcelain hand-crafted dolls, portraying Elizabeth Bennet and Mr Fitzwilliam Darcy in their wedding day finery, from today. The much-loved story of Pride and Prejudice follows Elizabeth as she deals with issues of manners, education and marriage in the society of the landed gentry of the early 19th Century. Mr Fitzwilliam Darcy’s costume features a handsome waistcoat under a fitted morning suit with a cravat and top hat. He features perfectly groomed sideburns! Elizabeth’s hair is curled and styled, and she wears an ivory wedding dress complete with over dress and veil. Underneath she’s wearing silky bloomers with lace detail. Delicate detailing is a feature of both dolls’ outfits. The Pride and Prejudice author will be the next face of the note, replacing Charles Darwin, probably in 2017. Ripley dolls' house shop is open after water leak! The Dolls House Emporium shop in Ripley is fully open after a water leak was fixed by engineers. Why not visit the shop this weekend - or any time during the summer school holidays - for a wide range of decorated, dressed and lit collectors’ houses on display. We're open seven days a week from 10am-5pm… and we're just 15mins from the M1 or 2mins from the A38. There are also children's dolls' houses, new introductions, inspirational room displays and many smaller projects. Also see The Cabin, our new house for the 2013 Creative Competition. Our renowned range of 2,000+ miniature furniture items and accessories is on show in a series of colourful and imaginative display boxes. Knowledgeable staff are on hand to advise on building, decoration and lighting of houses, as well as all aspects of the hobby. There’s free on-site parking and facilities for the disabled. M1 junction 28 onto A38. Take the A38 towards Derby. After approximately 5½ miles, take the slip road for Ripley A610. Continue as for the A38, below. Turn left at the traffic lights (Stringfellows Trade Outlet) into Brittain Drive. Take the first right into High Holborn Road. The Dolls House Emporium is 200 yards on the left. Please take the third entrance, where you can drive through the gates to the shop. M1 junction 26: Take the A610 towards Ripley. After approximately 7¼ miles at the T junction in Codnor, turn right at the traffic lights, towards Ripley. After approximately a further half mile, turn right at the traffic lights (Stringfellows Trade Outlet) into Brittain Drive. Take the first right into High Holborn Road. Dream a dream - a miniature Les Mis tutorial! compelling film version of Les Mis, there’s no doubting the potential for a miniature diorama! The characters, furniture and décor of revolutionary Paris, where the story is set, lend themselves perfectly to dreaming a dream of another life. The musical version of the Victor Hugo book Les Miserables has become a global phenomenon… were you swept up in its wake? Audiences have left performances elated at the show. Our creative assistant Louise has also immersed herself in the history and the drama - to recreate screens from the story as inspiration for you to try. If you want to follow the epic storyline, it’s easy to start at home! Simply click through to the Les Mis Miniature Tutorial here. The opening scenes of the film are set in the walled city of Montreuil-sur-Mer, not far from the Channel ports, where hero Valjean trod the winding cobbled streets. The story moves to Paris for the characteristic 19th Century backdrop. 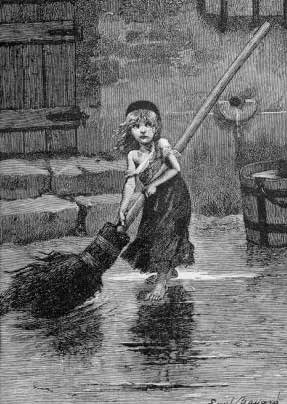 The musical’s emblem is a picture of the waif Cosette, based on an etching which is itself based on an original drawing by Emile Bayard. 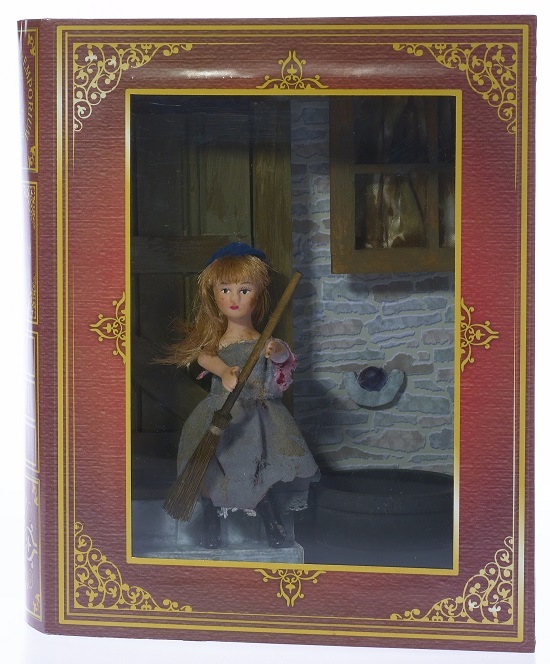 It appeared in several of the novel’s earliest French-language editions, and you can include it in your display by cutting out the miniature version we’ve posted on this page for you. Remember when Grosvenor Hall dolls' house went to Harrods? We've had a trawl through the archives and couldn't resist bringing you this article from a past issue of Dolls House & Miniature Scene. We loved the way they treated our images and described our project at the nation's favourite department store!